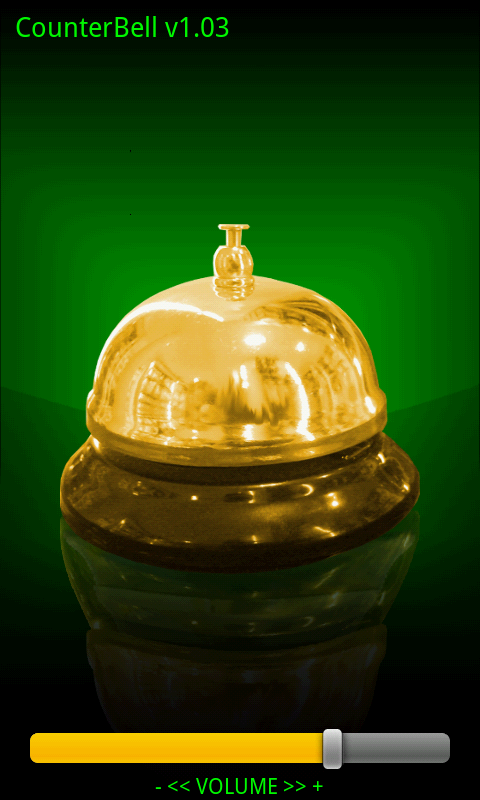 In Hotels, Stores, Offices, Restaurants and Bars … never remain unnoticed any more !! Use this personal virtual counter bell to attract attention . This application is a virtual counterbell based on the proximity sensor, so no physical contact is needed. Just hover your hand over (usually one of the upper corners) and you should hear a sound. Of course you can also touch the bell’s button on the screen (for those of you who feel the urge to touch something).